Last Saturday, Gerry and I joined the southeastern Audubon group for a warbler walk led by Richard Foye. 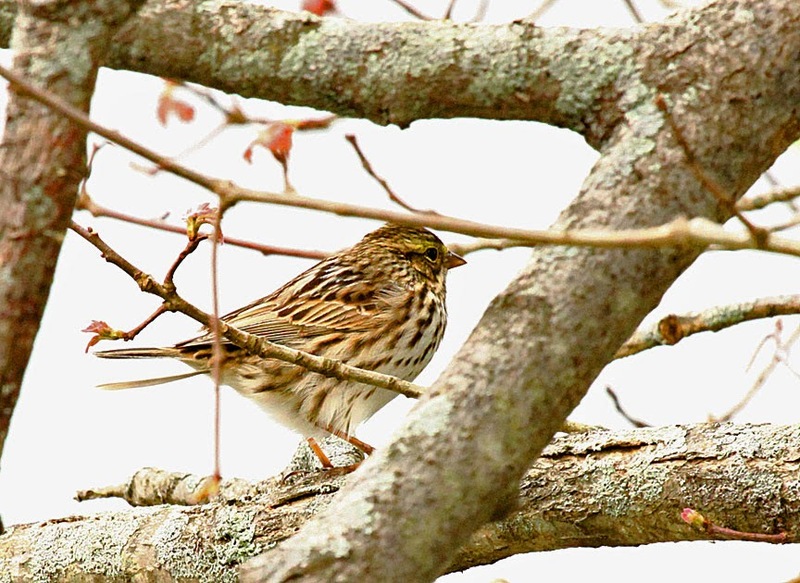 We walked along the Fort Hill Rail Trail, aka the Hinsdale setbacks, in New Hampshire. 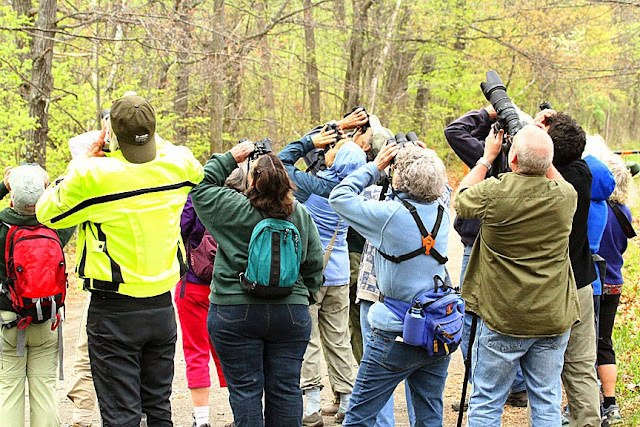 It's a great spot for migrating birds along the Connecticut River. 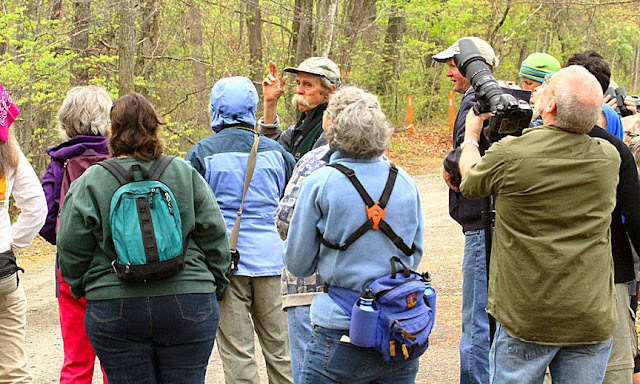 Richard telling the group about the bird we're hearing - now we need to find it! Warblers are always high in the trees! 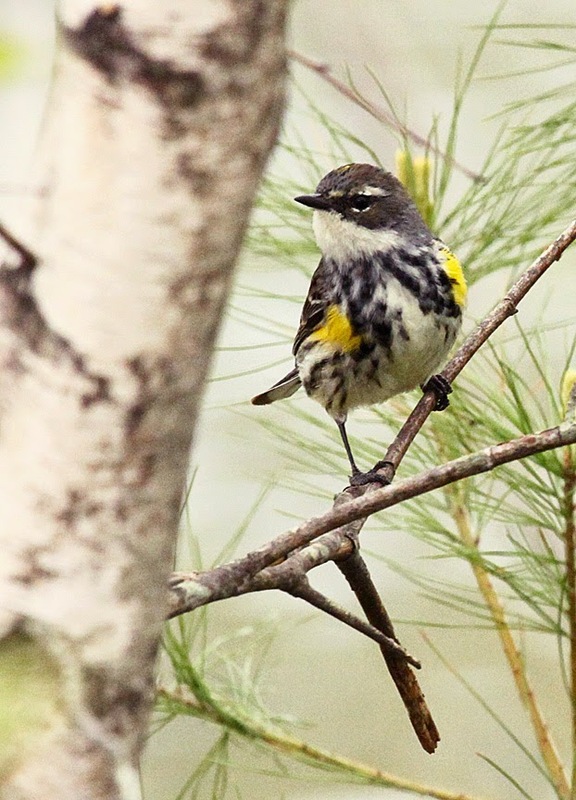 Our most common warbler of the day was the yellow-rumped warbler. We must have seen 50 or more! The common yellowthroat is another very abundant warbler.. 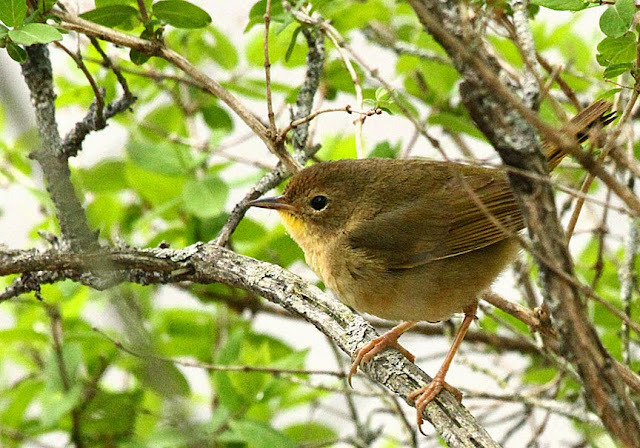 This is the female, the males are usually the ones seen, since they make the most noise singing! wichety wichety wichety! 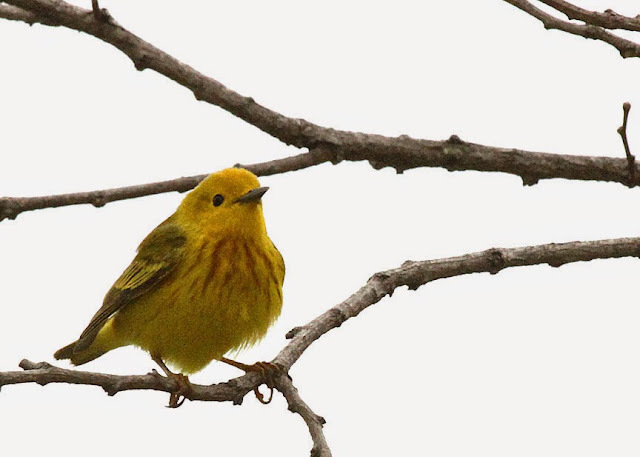 Another warbler usually found near water is the yellow warbler, even on an overcast day, this warbler is as bright as the sun. He sings "sweet, sweet, sweet, I'm so sweet!" 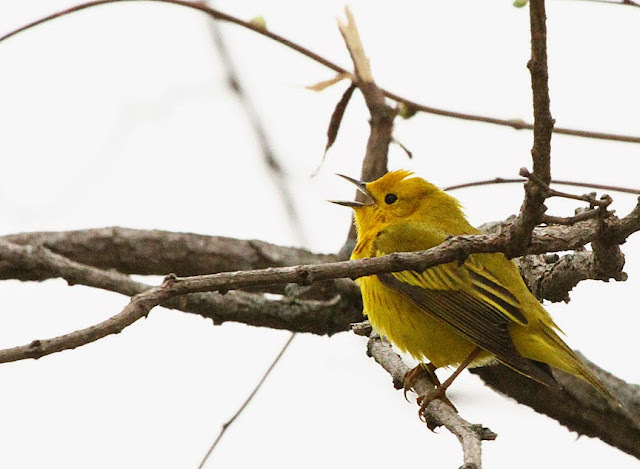 A very good find was this singing, yellow-throated vireo. 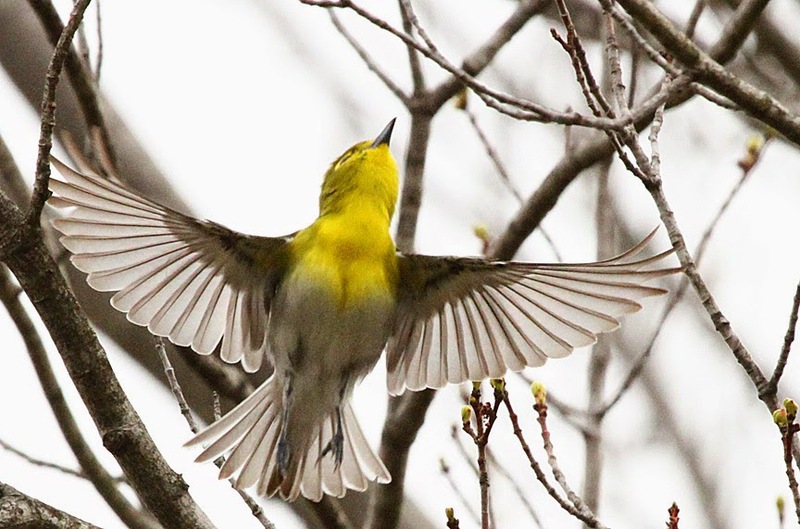 The yellow-throated vireo showing off his color! 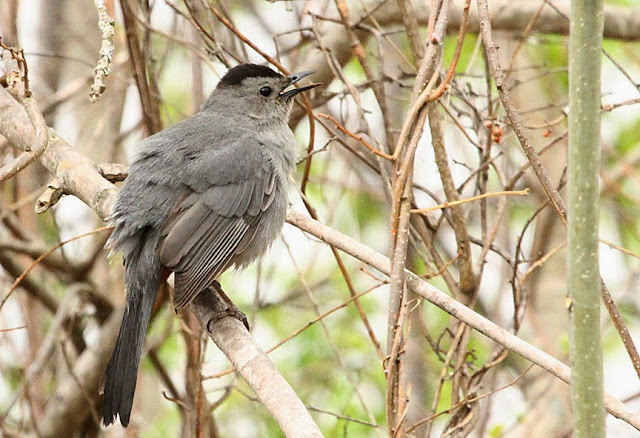 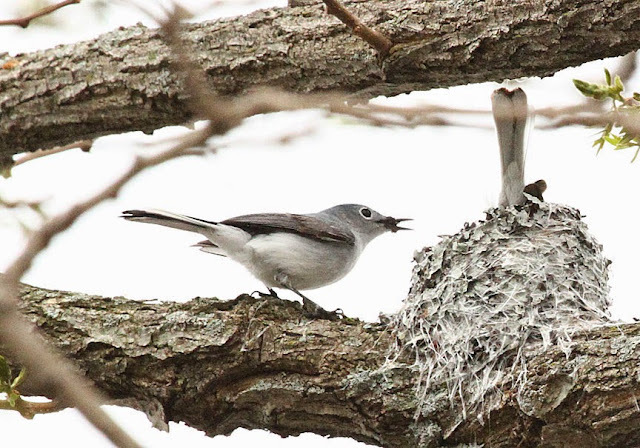 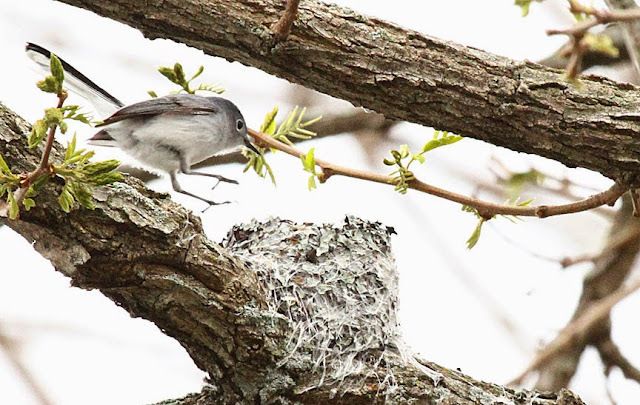 We also found a pair of blue-gray gnatcatchers building a nest. 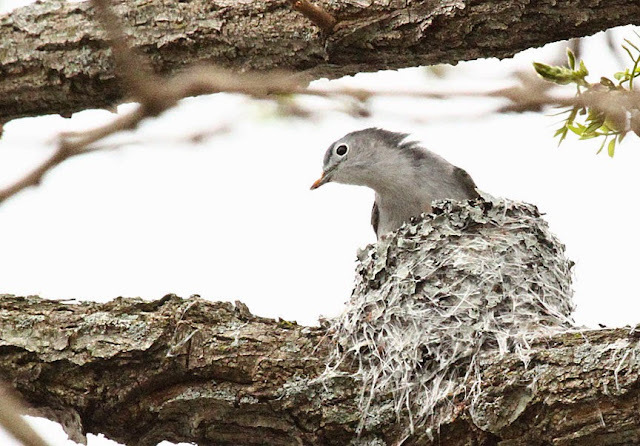 They use spiderwebs on the outside and add lichen. Once it's finished, it's well camouflaged. 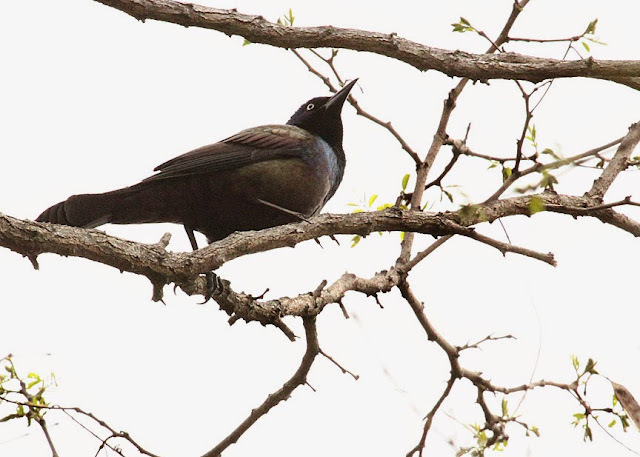 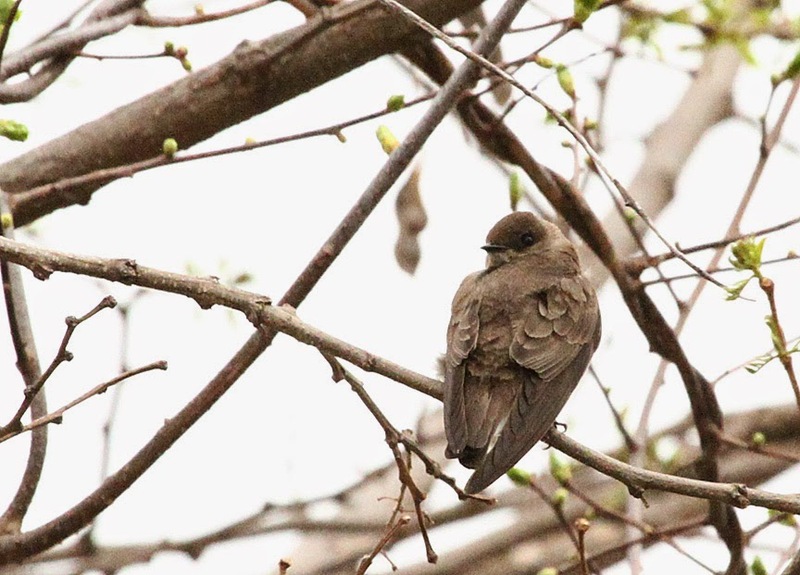 There was lots of bird activity on our walk, we enjoyed many species, not only warblers. 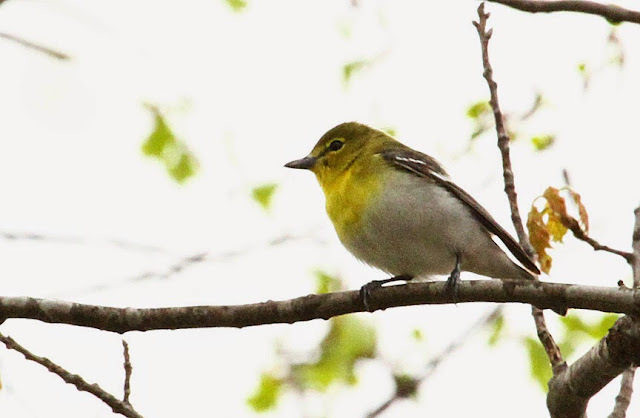 We found 8 warbler species without too much trouble; yellow, yellow-rumped, black-and-white, northern parula, blackpoll, northern waterthrush, common yellowthroat and American redstart.